Microsoft is the most socially responsible country in the world, but while the techology giant excels at corporate social responsibility (CSR) many companies aren’t and the impact of such programs largely goes unnoticed by consumers, according to the Reputation Institute. 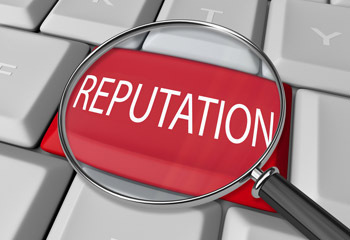 The results of the reputation monitoring firm’s ‘2012 CSR RepTrak 100 Study’ revealed that many of the world’s 100 most reputable companies have little to show for the millions of dollars they spend on CSR initiatives. Companies are mismanaging their CSR investments and not applying the same rigor to these investments as they do to their other core business priorities, Kasper Nielsen, executive partner of the Reputation Institute believes. The study, which included Google, The Walt Disney Company, BMW, Apple, Daimler, VW, SONY, LEGO, and Colgate-Palmolive in its top 10, revealed that despite the efforts of corporates, only 6% of respondents perceive the top 100 companies as good corporate citizens. In addition, most CSR efforts appear to go unnoticed by consumers. 60% of the 47,000 respondents across fifteen markets surveyed were unsure if companies are good corporate citizens that support good causes and protect the environment. 4% believe that companies could absolutely not be trusted. In Asia Pacific, the top five companies for CSR were Microsoft, Google, Apple, The Walt Disney Company and Intel. The study goes on to reaffirm that companies that make reputation management a driving force in their business strategy do reap results. On RepTrak’s scale, a five point increase in a CSR rating would result in a 9.1% rise in the number of people likely to recommend a company. Microsoft topped the rankings due to its strong citizenship, workplace and governance practices, turning around the bad will generated in the early 2000s when it was criticised for using its market dominance to drive up consumer prices and put pressure on the competition with unfair business practices, the report says. Senior director of corporate citizenship at Microsoft, Dan Bross, puts the turnaround down to increased engagement in public policy discussions and transparency in the company’s public policy agenda. “We recognise that public trust in corporations depends in large part on the basic aspects of business character: integrity, accountability, values, responsibility and transparency… we enhanced our commitment to accountability, strong corporate governance and transparency,” Bross says. Overall, Microsoft placed first in terms of governance and second in both workplace and citizenship behind Google and Walt Disney respectively. Of the 100 companies evaluated, only 22 were considered ethically strong, with the remaining 78 deemed average in terms of transparency and openness. The study also found that only 17% of respondents definitely trust what companies promise in their advertising and marketing, while 19% trust what companies say in official reports.